Omg, i dont mind having this cuties, love that those cheesy disc are baked.Ultimate finger foods.. Drooling here. 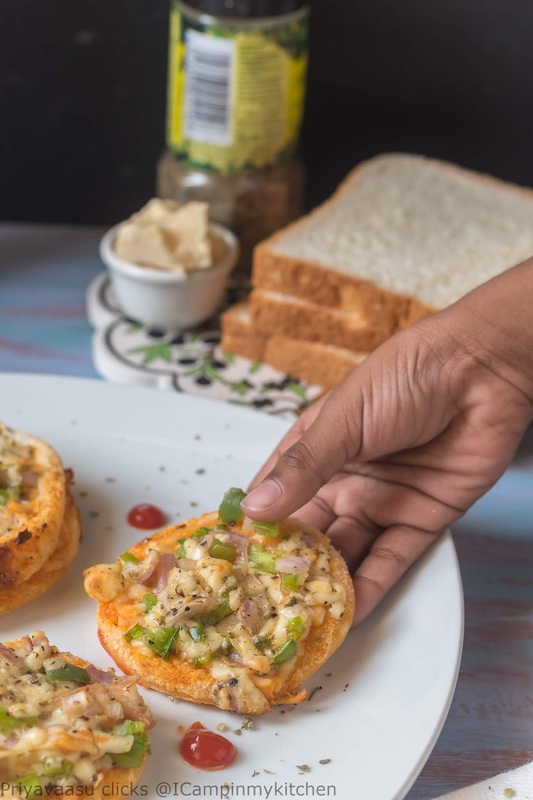 Cheesy Bread Disc, easy snack or even as meal, it sounds so simple and can be made in minutes. Will any kid say No to Cheese!! Wow Priya, these cheesy breads look so tempting even for me. I'm sure kids went gaga over them. Will have to try this for my kids soon. Very Belated Happy Birthday to your son. OMG! Priya, these bread discs look absolutely yum. The veggies and cheese on the bread would make it a wonderful appetizer.. It is a great snack for small hunger.. kids love it anytime. I sometimes spread pizza sauce too. 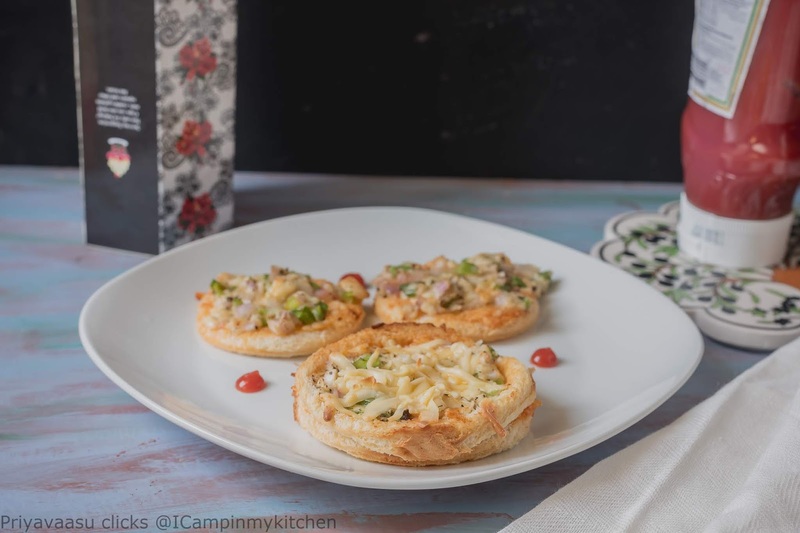 Wow these cheesy discs would be a great addition to any party menus specially kids birthday party, absolutely in love with the recipe, bookmarking it. Cheesy discs look absolutely delish. These are loved by one and all. Moreover these being simple and easy to make. Wonderful sharr. 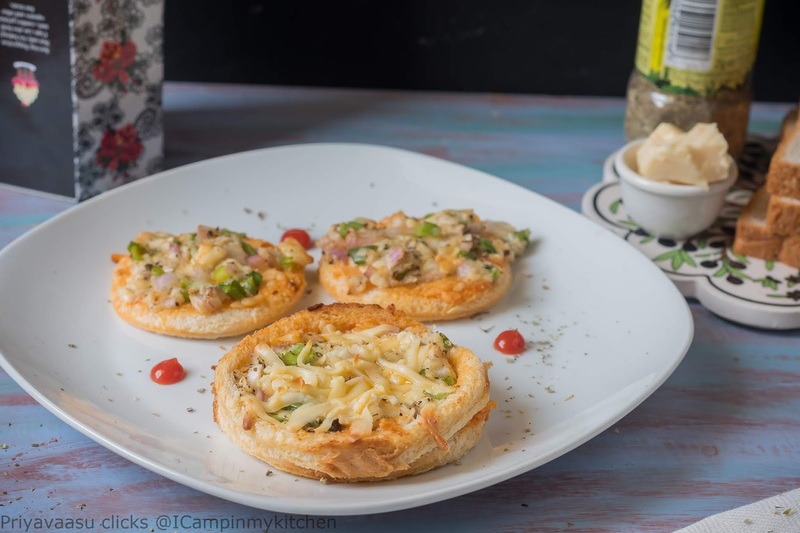 Perfect and easy party snack...Cheesy discs looks absolutely delicious...Very versatile snack...Yummy share!! A wonderful idea for snacks to entice kids to eat their veggies. These look so tempting, I can totally believe why the kids were raving about it!! Awesome share! OOOOOO! Ma I want some Priya. They are amazing. Even I will come for these Stark Toasts( I love the name btw) 2 not 4 times minimum. The Chrissy bread discs are absolute hit amongst kids and yours look so inviting ! My son loves this appetizer. 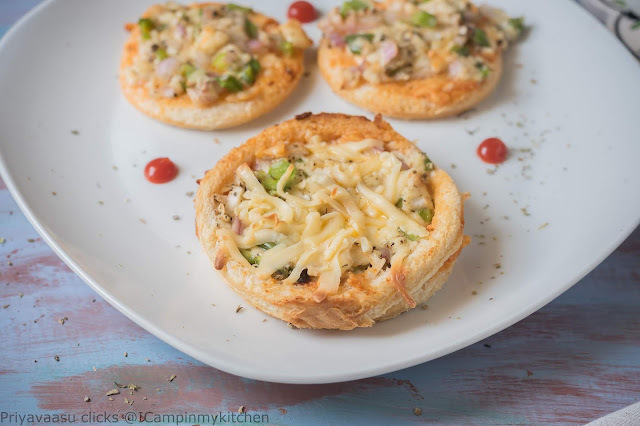 This looks an awesome way to get kids eat veggies..loved these baked discs ...makes an amazing appetizer..
OMg..these cheesy bread pizza sounds so delicious, a very easy recipe but packed with deliciousness! Yes I have made these Priya and had the same reaction from my kids..I can imagine how fantastic these must have tasted!..and the feeling we get when kids ask for it again..very good one..and thanks for sending for the party! Wow baked cheesy bread discs looks so delicious and mouthwatering definitely kids going to love this. Bookmarked it. No wonder the kids gave you more than a stamp of approval. Those baked cheesy breads must have tasted amazing. These cheesy discs are so good, I too keep making sometimes. same pinch Priya, I too made these for week 4. So tasty and lip smacking disc or bread pizza they make. And fun part is you can stop at 1 simply eating 3-4 at one time. But must say homemade pizza things taste better then storebought pizzas. I have to make this right away Priya! So tempting and I bet we can't stop eating with just one or two. This will be a great after school snack. 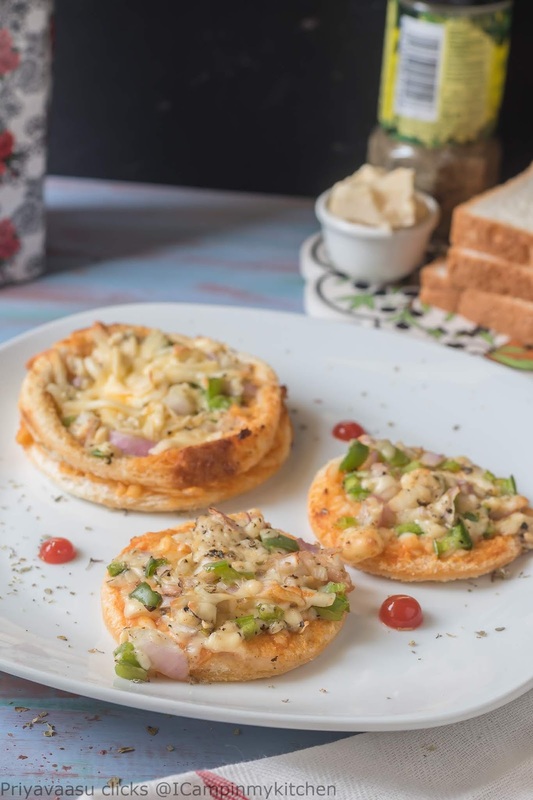 This cheese disc are one of mine fav snack... instant version of pizza.